One thing that I would like to point out, which I didn't say before in the past, was that once Episode VII and beyond get released, this list will change for better or worse. 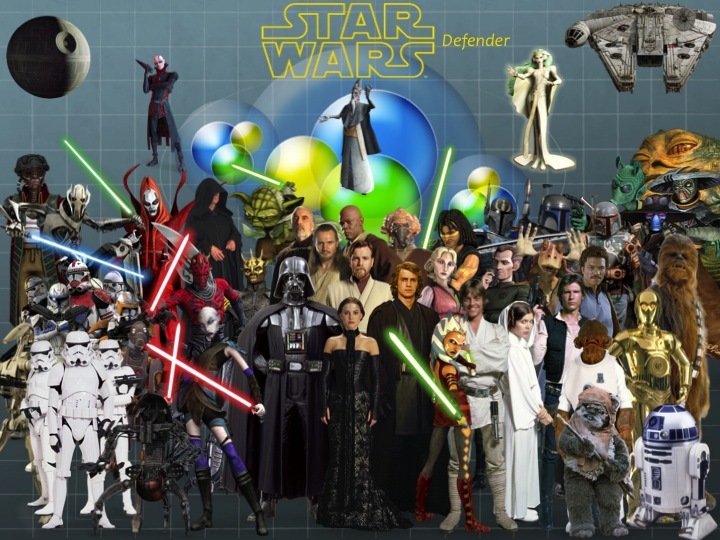 So, in more than one way, this list serves as a celebration of everything that has come in the past from Star Wars, and a way of commemorating the hopefully bright future that Star Wars has. Huyang is one of the few Star Wars characters who has managed to last for thousands of years, serving the Jedi Order from its earliest days. The guy has archived in his memory every lightsaber that has been constructed by the order, and even knows the story of how Yoda's lightsaber got built, which I really hope is shared to us someday. The guy made quite the counterpart to R2D2, much like how C-3PO was his counterpart in the six Star Wars films. So, I guess it's safe to say that Huyang is one of the best droid characters created after C-3PO and R2D2. One of the most interesting concepts introduced in Clone Wars, was the one which showed that groups that would one day be part of the Rebel Alliance had existed from the time of the Clone Wars. Saw Gerrera was one of the rebels of Onderon who seeked to overthrow the corrupt Rash and free Onderon from Separatist control. He was reckless at times, but in the end only wanted the best for his people, and sadly witnessed the death of her sister. Saw paid the high price of independence, much like in the real world. Tamson came to be seen as an anthropomorphic shark-like alien during the times of the Clone Wars, who paved way to being an interesting villain working for the Separatists. Tamson purposely creates a civil war between the Mon Cala and the Quarren in order to have him enslave the people of Mon Cala, and have him as the ruler of the ocean planet, while at the same time, join Count Dooku and the Separatists. He ends up dead at the hands of Prince Lee Char, with this death meant to be similar as the shark from Jaws. As a homage to Godzilla, the Clone Wars crew decided to introduce at the end of Season 2 what would be known as the Zillo Beast. 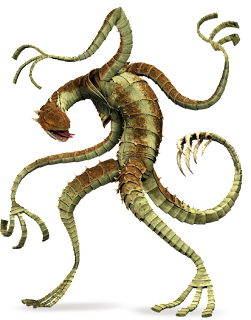 A legendary creature from the planet Malastare, He is said to be the last of his kind, and has been dormant for hundreds of years. After he awakens from his slumber, the Republic forces are uncapable to defeat him. Mace Windu wishes to take the creature to another planet, where he can live in peace. Chancellor Palpatine, however, wishes to bring him to Coruscant. Once he is brought to Coruscant, he eventually hunts down Palpatine, apparently knowing somehow the evil man he really is. Sadly, the Zillo Beast dies, but before he could be declared an extinct species, Palpatine decides to clone him. The Clone Wars has gone to show other members of the Hutt Clan, among them being the most notorious in the show is Ziro. 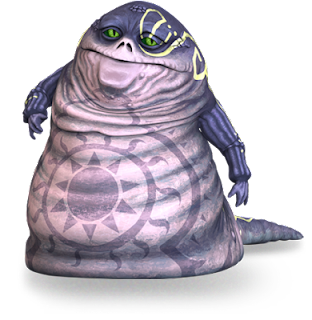 Ziro the Hutt originally was involved in the kidnapping of Rotta the Huttlet, Jabba the Hutt's son. He eventually is arrested and later freed by bounty hunter Cad Bane, mainly because Ziro had a series of secrets of the Hutt Council recorded somewhere, that could not fall into Republic hands. Ziro is later killed by his former lover. 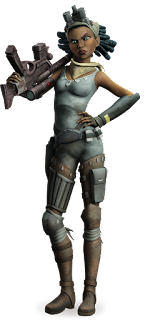 Steela has been so far, one of the most interesting female characters introduced in the show. She is the leader of the Onderon rebels who seeks to take out the corrupt King Rash, and bring back to power King Dendup. Steela was also the love interest of senator Lux Bonteri, until well, her tragic death. Steela would be remembered by Onderon as a brave leader and hero who helped free the planet. 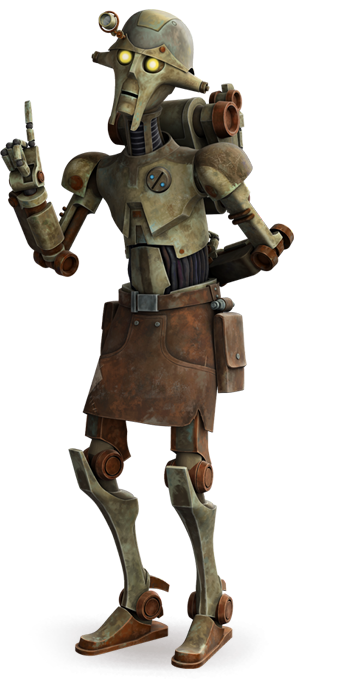 Clone Commando's were officially introduced in the Star Wars universe in a Video game, and only in Season 3 did the Delta Squad make a brief cameo in the show. It wasn't really until the Season 5 episode ''Missing in Action'' that an actual Clone Commando made a real appearance, Gregor. Gregor crash landed on Abafar and suffered from amnesia after surviving the grueling Battle of Sarrish. 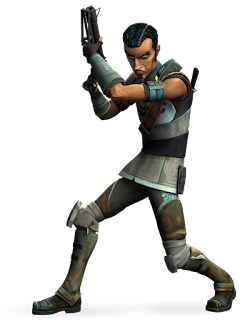 He helps the D-Squad escape Abafar, and is shown to be one of the most skilled and talented clones of the Grand Army of the Republic. The question remains: Did he survive the explosion? 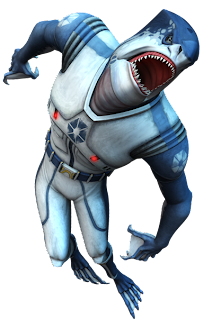 Of the countless bounty hunters that have come in and out of the Star Wars galaxy, none are probably weirder in personality than Moralo Eval. Eval killed his mother when he was young because he was ''bored'' and became a bounty hunter some time later. He escapes prison with Cad Bane and a disguised Obi-Wan Kenobi as ''Rako Hardeen'' and is part of the mastermind in a plot to kidnap Chancellor Palpatine. A truly unique and interesting bounty hunter. Baron Papanoida is the only cameo George Lucas ever had in any six Star Wars films. 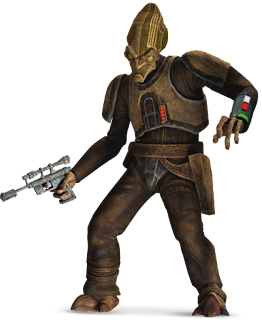 He makes a brief appearance in Revenge of the Sith, and later goes off to be shown in the Clone Wars episode ''Sphere of Influence''. Papanoida is shown to have three children, all based off the children George Lucas has in the real world. So, in a lot of ways, this character is here as a way to thanks the creator of the Star Wars universe, George Lucas. Wat Tambor is the leader of the Techno Union, one of the series of mega corporations that created the Separatist Droid Army and joined Count Dooku in the war effort. He would occupy the planet Ryloth later during the Clone Wars and cruelly had the Twileks under his own service. 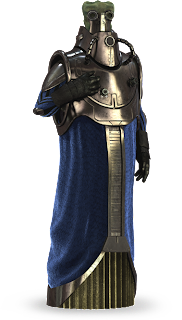 Tambor was eventually captured by Mace Windu, and escaped at some point afterwards, only to be later murdered in Mustafar by the Sith Lord Darth Vader.